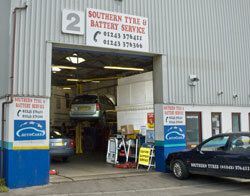 Located in the heart of Emsworth Southern Tyres & Battery Services is a family run motor vehicle servicing centre, with more than 30 years experience. State of the art equipment and a highly trained workforce make every form of repair possible. Be it a simple battery change, a full service or the more complex brake skimming or diagnostic check, Dave’s mechanics can complete the job to a very high standard. It’s reputation has grown thanks to the recommendations from it’s customers. Dave and his team of mechanics are always happy to help and pride themselves on their ability to provide a first class service to all customers, new and old. As motohome service specialists they also offer pre-purchase inspections, damp reports and annual servicing. 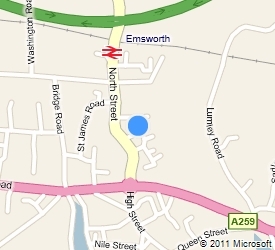 A collection and drop off service is also available if required, please ask for areas covered. All makes of cars, light trucks, vans and motorhomes are fully catered for. Courtesy vehicles available on request (conditions may apply).